There's still time to get unique gifts for the holidays or Christmas! I have many handmade soaps, lotions and creams, shaving soap, lip balms, natural liquid soap and glycerin soap flowers available. Custom orders are welcome. I also wholesale handmade soap logs or loaves. Most products can be custom scented. 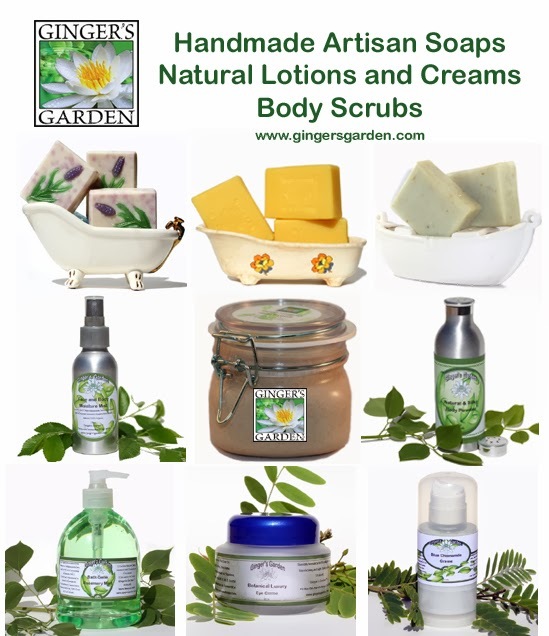 Use this link Ginger's Garden Handmade Soaps and receive an extra little gift!